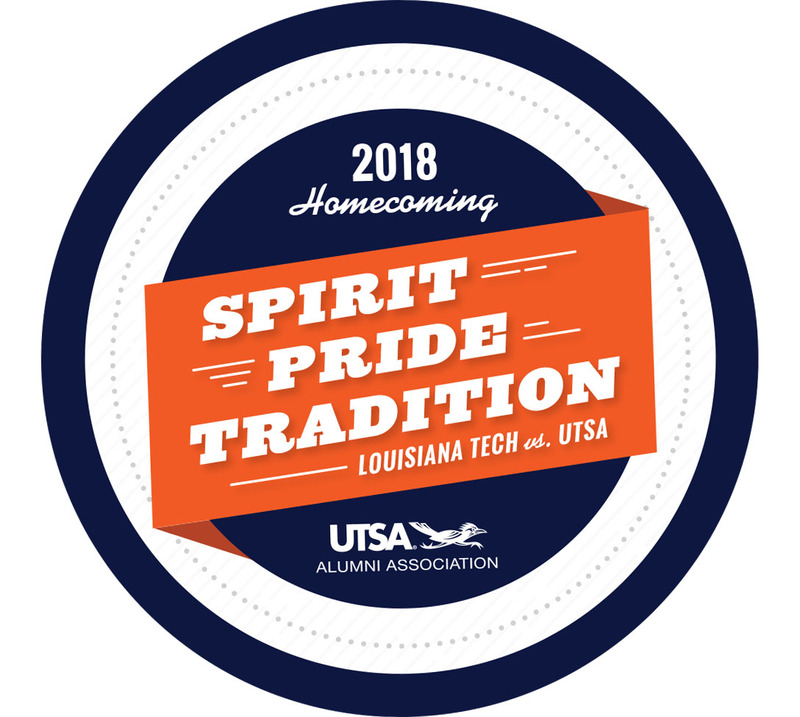 Alumni returning for Homecoming reconnect with classmates, instructors, friends and family during the week and get reacquainted with UTSA. Here's a rundown of alumni- and family-friendly Homecoming events. Make our Biergarten your home base for BestFest with live music, carnival rides, a fireworks spectacular and more! This is a family-friendly, community-wide event and alumni are encouraged to attend. *Since student organizations are hosting food booths at BestFest, we will not be serving food in the biergarten. Before we hit the gridiron against Louisiana Tech, join fellow alumni, friends and fans for the rowdiest Homecoming Tailgate! 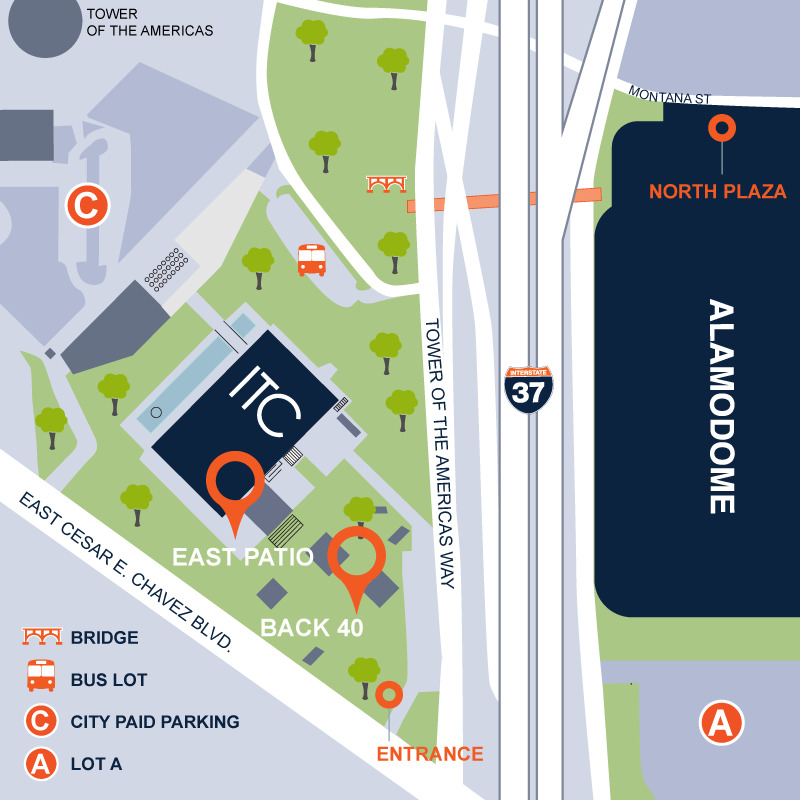 Home tailgate admission is free to all UTSA Alumni Association members. Credit Human debit card holders and children 16 & under are free. Non-member adult admission is $25. Street parking and city lots are available nearby. Disabled parking is available for those with accessible-parking hangtags in the lot nearest to the ITC main entrance, first-come, first-served. Bring your friends and family—anyone who wants to get Rowdy is welcome! 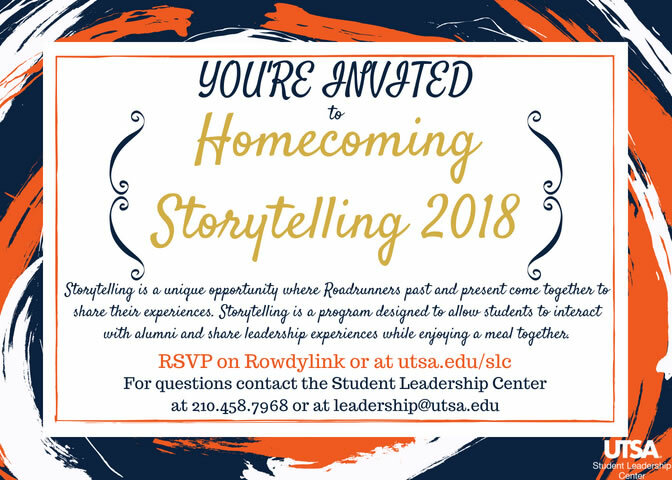 As part of UTSA Homecoming Week 2018, volunteer mentors are invited to participate in a unique event where alumni and students come together to learn from one another. The Storytelling leadership series is designed for students to interact with alumni who share their leadership experiences while they enjoy a meal together. If you're interested in volunteering as an alumni mentor, contact Leadership@utsa.edu.